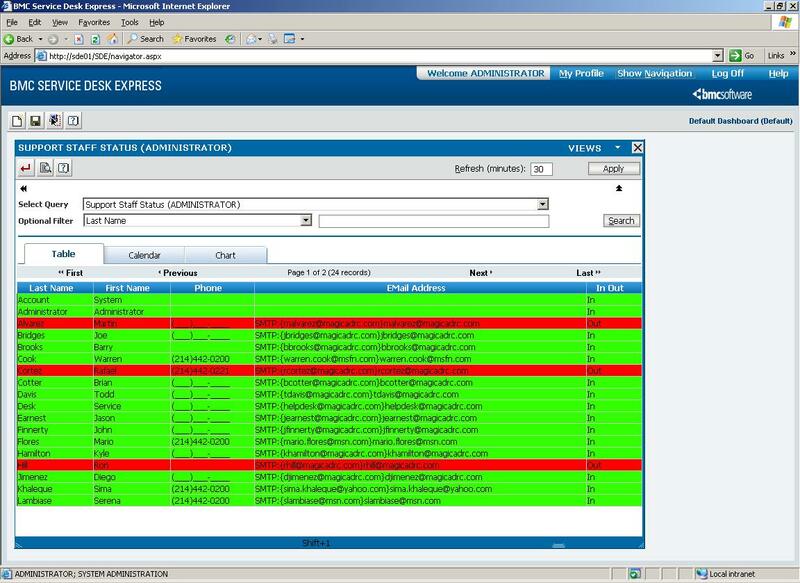 Recently we upgraded our installation of Magic 7.51 to Service Desk Express 9.20. Our previous installation was on a single server, Windows 2000 and SQL Server 2000 SP4. Moving forward, we decided to split the application and database server, moving to Windows 2003 R2 SP2 and SQL Server 2005 SP2. The “upgrade” (if you can call it that given that it was a fresh installation of SDE 9.20 and migration of all data) went very well (all things considered) and on the Monday morning we had a very successful release – too successful! Everyone knew we were doing the upgrade but everyone except us had forgotten – as such as people arrived for work people started talking about the new Magic and they started logging on to take a look. Before very long we breached our license count – the very same license count that had been working perfectly for the last three years! So what was the problem? 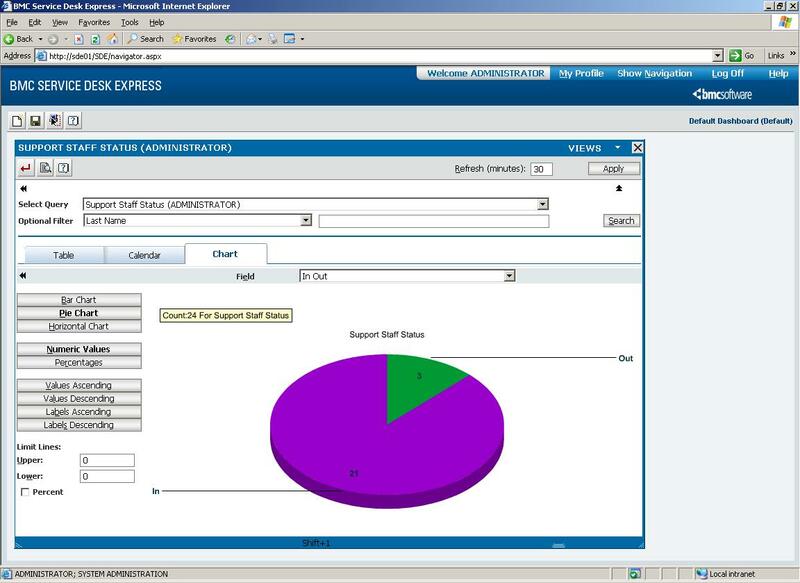 The answer was a surprise – there WAS a genuine increase in use as a result of a new and nicer looking Service Desk Express. However, the real problem was a technical issue – the Session_OnEnd() event of a classic ASP application (located in global.asa in C:Program FilesBMCService Desk ExpressApplication Server) running on Windows 2003 SP2 does NOT fire. Have a guess where the code that releases the license lives? (See below). 'Aveneri - 42128 - Remove User for this session. This is a known issue with Microsoft and BMC and there is a workaround available from Microsoft for this (http://support.microsoft.com/kb/934903/en-us). Anyway, thought I would pass on the information for anyone who this might affect – in the next post I will hopefully have some good news re a new project that, with a bit of luck might reduce some pressure on organisations license count. Thanks for reading – as always any comments are most welcome. I guess one of the clever features of Service Desk Express is its ability to calculate the Due Date for a ticket based on its Urgency (or even Priority in version 9.6). If the Urgency of a ticket changes during its lifecycle Service Desk Express needs to know what rules to apply for the recalculation of the Due Date. So the problem is that this message box is not configurable and if your delightful colleagues don’t change the selector and just click OK then the due date is left as it was – which in the case of when there isn’t a due date populated then that means there is still no due date! The users can only choose Recalculate Due Date based on Open Date. The Cancel button is disabled. You are about to hack an HTML page and as such I would stongly suggest you make a back up of it! All the hacks are applied to one file so open C:Program FilesBMCService Desk ExpressApplication Serverhtmlseveritymsgbox.htm in Notepad. This will remove the current default AND disable this radio button. I you don’t want to disable it, just remove the word “disabled” above. 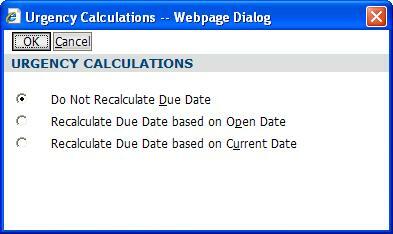 The word “checked” will cause this radio button (“Recalculate Due Date based on Open Date”) to be selected by default. This will disable this radio button. I you don’t want to disable it, just remove the word “disabled” above. When your done applying all your changes, save the file and you should be good to go. Hope this helps. As always, comments (positive and negative) always appreciated.